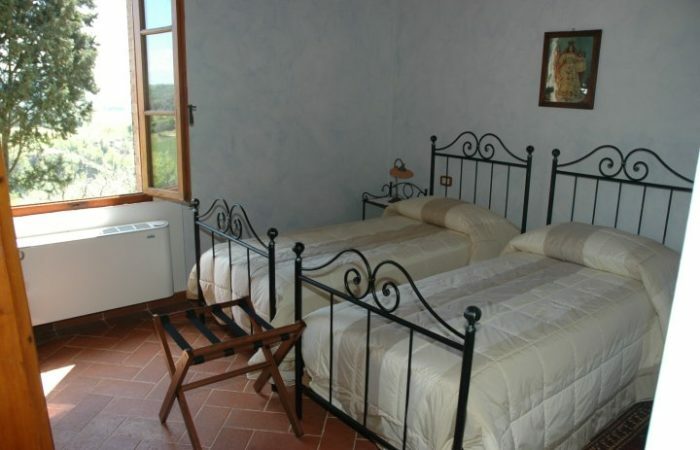 Piccolo Hotel San Valentino is a guest house with restaurant located on the beautiful hills of Siena. 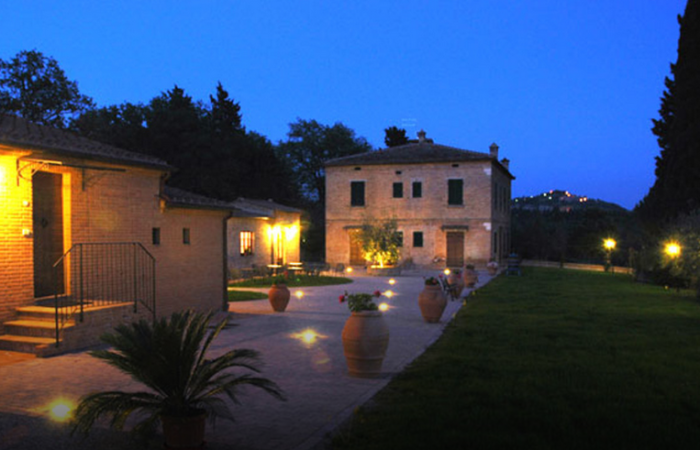 Luxury resort enjoys the excellent and enviable position in the heart of the Crete Senesi. 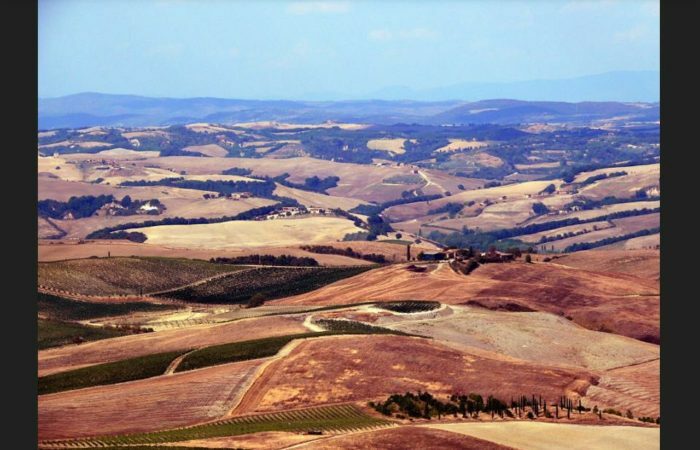 Asciano, Siena, is a small town of medieval origins where you can visit many historical monuments. 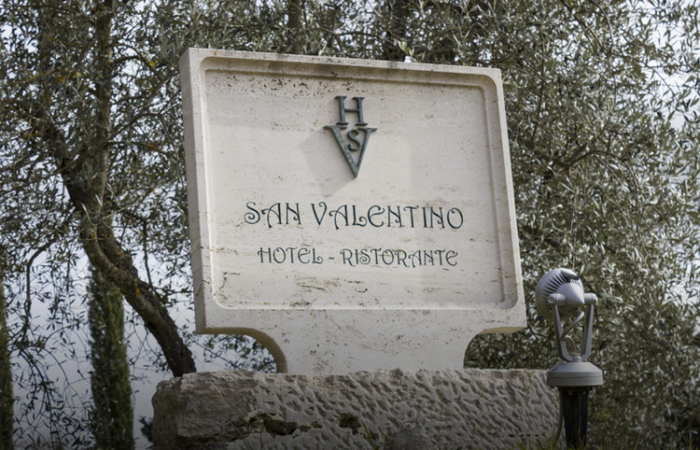 Our Asciano Hotel, allowing guests to easily reach the main tourist destinations. 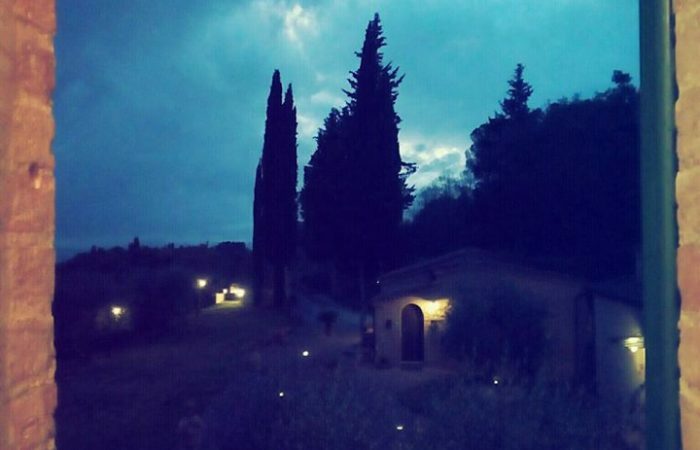 We delight your evenings with our tasty and famous and distinctive Tuscan dishes. 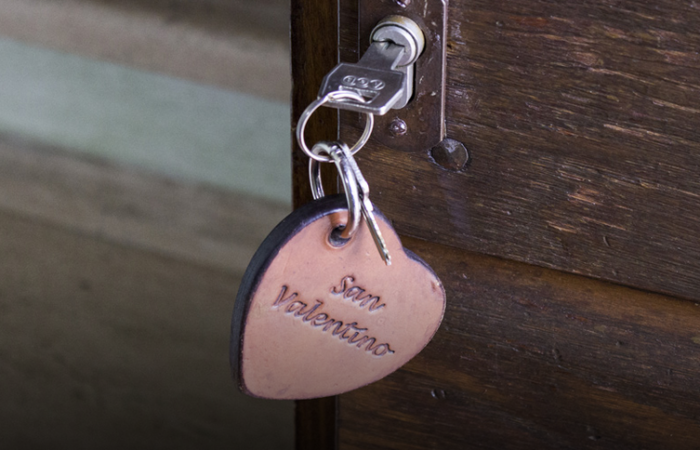 The seduction of the Crete Senesi and the Abbey of Monte Oliveto Maggiore, undoubtedly extraordinary, is a corollary to the Piccolo Hotel San Valentino. 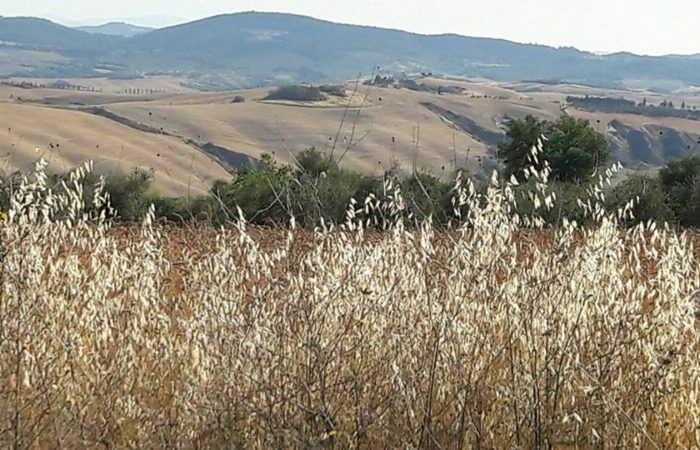 It is an opportunity to offer you a relaxing holiday, Tuscan cuisine and the pleasures of nature which, together with unique chromatic elements, offer to its visitors a wonderful landscape. 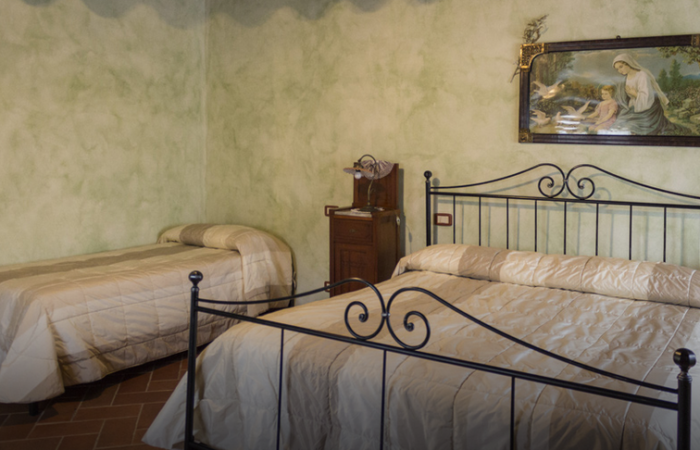 The hotel is divided in two structures: a smaller one consisting of two triple rooms with an independent entrance; the other on two floors: on the ground floor three double bedrooms and upstairs three double and a single room. 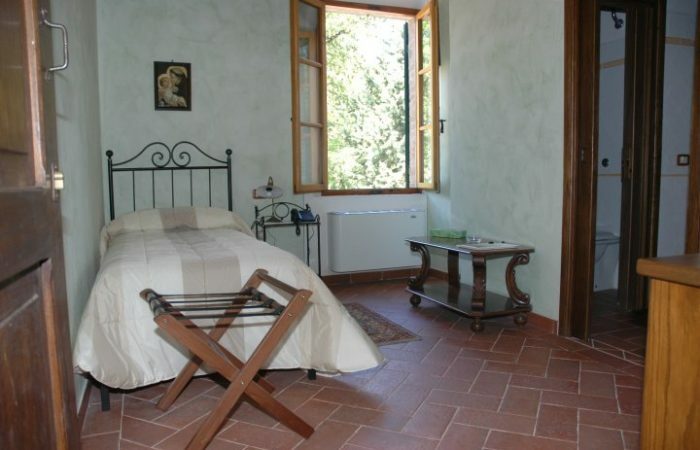 All therooms have views of the garden or the beautiful landscape in front of the hotel. 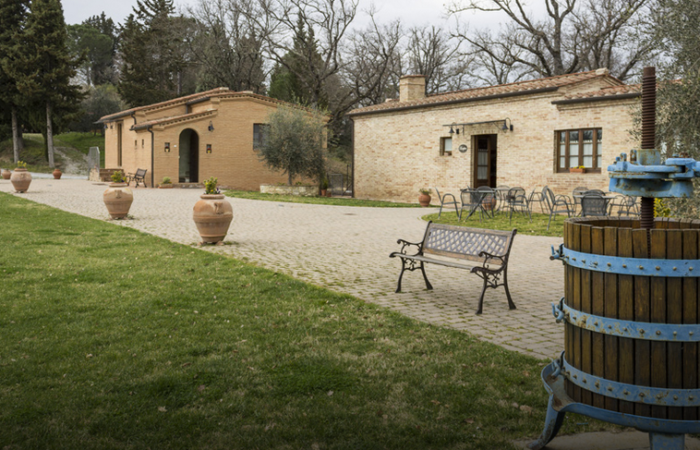 During the summer the garden is the perfect place to relax while enjoying the sun; those who don’t love the sun can have a drink or read a good book on the covered veranda next to the restaurant. 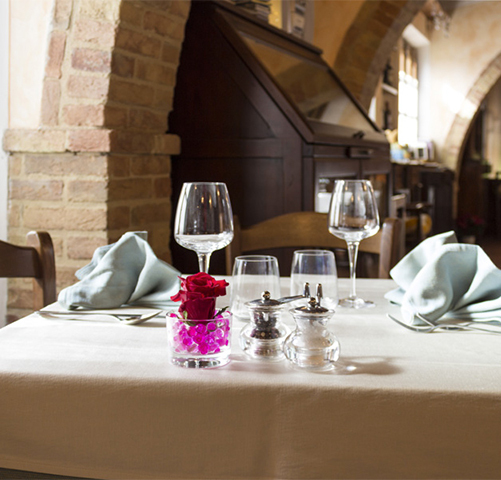 Expertly cooked and served in the hall of the beautiful typical restaurant. 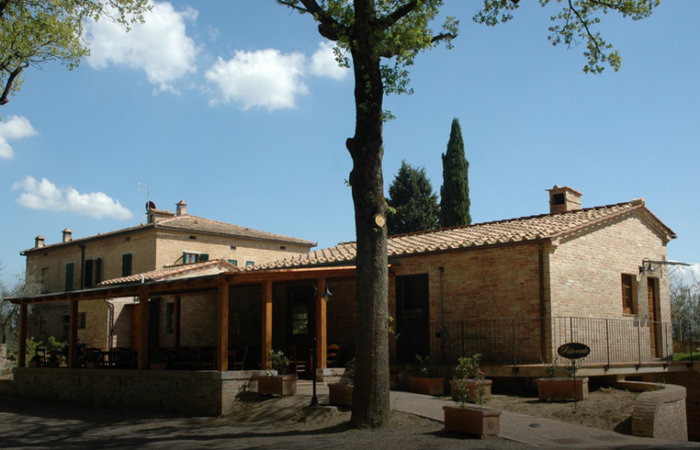 The air conditioned restaurant can have 40 seats inside and 30 covered veranda. 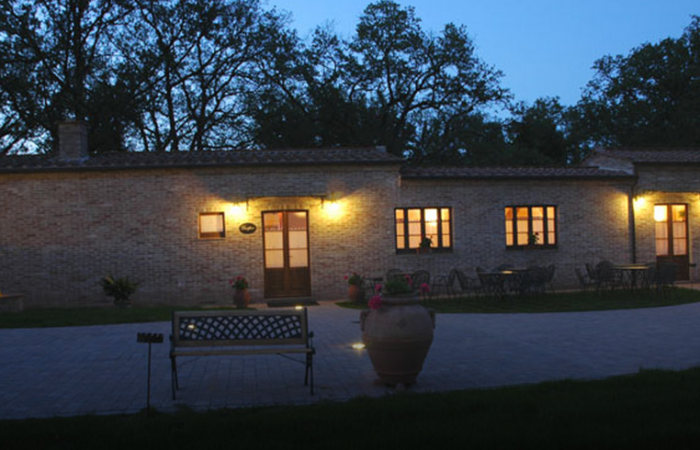 During the summer evenings the garden is used as a restaurant, and you can dine in the spectacular scenery offered by the territory of the Crete Senesi. You can choose among the many choices of card of the day. 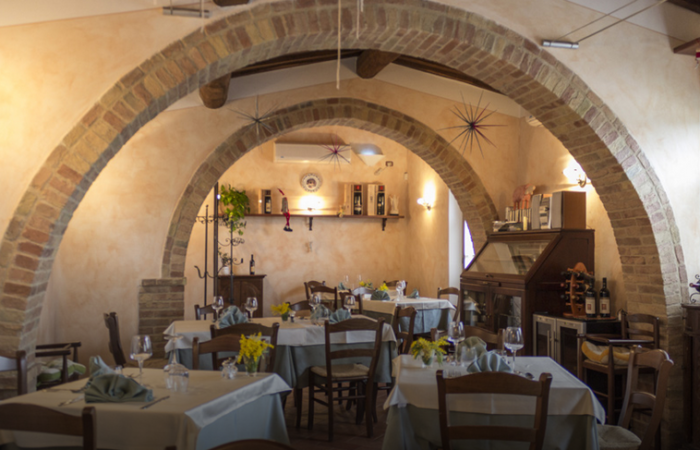 The restaurant offers quality products of Tuscany. 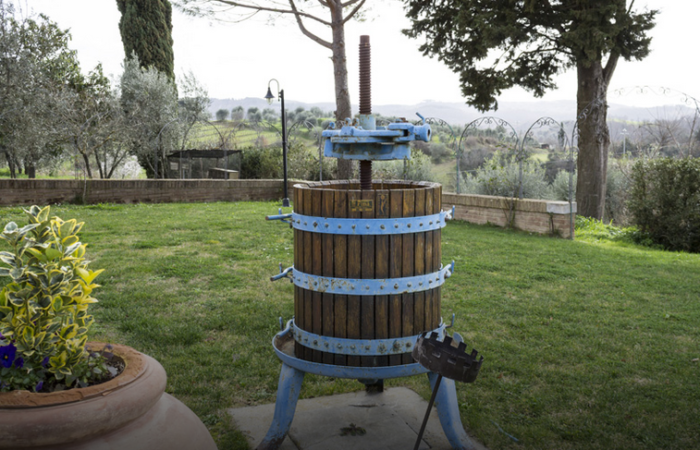 The cuisine highlights local tastes with the best meats, fresh pasta accompanied by the tasty and typical flavor of extra virgin olive oil from Tuscany. Seafood recipes can be prepared under request. The wine list offers a wide choice of regional ones.